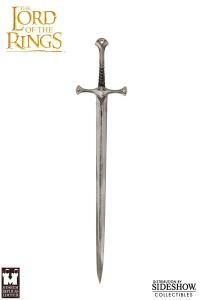 Sideshow Collectibles is proud to offer the Anduril Sword (LARP) from Museum Replicas. 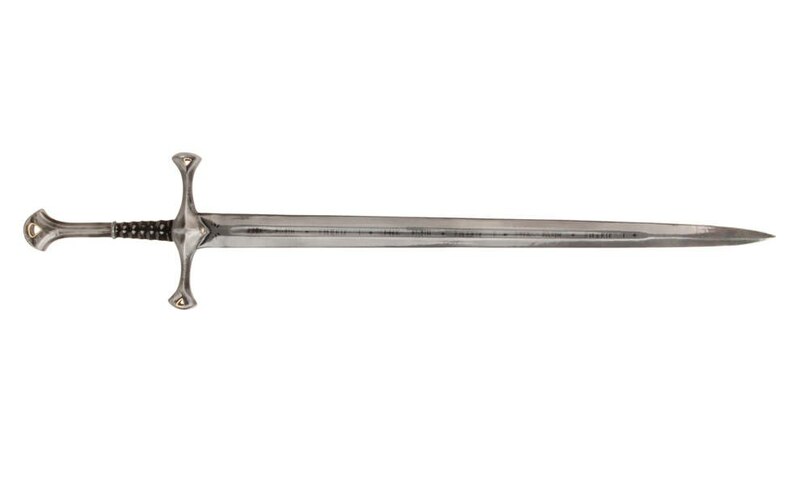 Wielded by Aragorn in the epic movie trilogy 'The Lord of the Rings' and forged from the shards of Narsil, Anduril is a powerful and mythical blade. Originally worthy only of a descendent of the king of Gondor, Museum Replicas is proud to bring you this beautiful replica made out of high-quality latex with a carbon fiber core for strength. 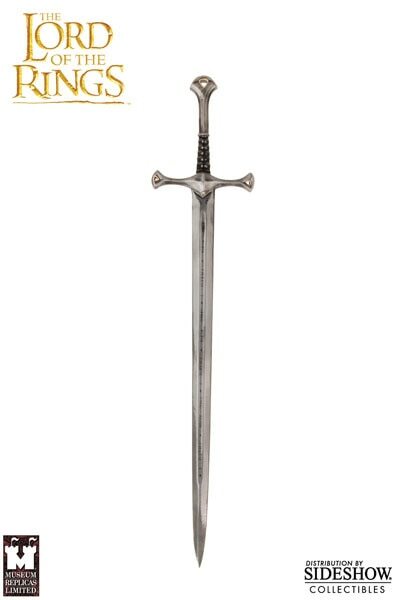 Create history as you wield the blade Anduril. (c) 2011 New Line Productions, Inc. All Rights Reserved. The Lord of the Rings and the names of the characters, items, events and places therein are trademarks of The Saul Zaentz Company d/b/a Middle-earth Enterprises under license to New Line Productions, Inc.